You will Watch G.I. 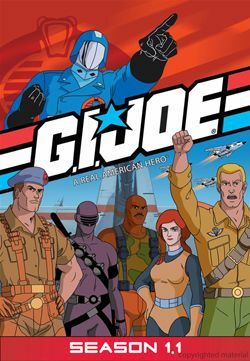 Joe: A Real American Hero Season 1 Episode 55 online for free episodes with HQ / high quality. Stream cartoons G.I. Joe: A Real American Hero Season 1 Episode 55 There’s No Place Like Springfield (Part II) When Shipwreck is plagued by nightmares of what happened in the past six years he’s missed, but he soon discovers this might be Cobra’s plan to retrieve the stored formula of Operation Hot Water from his mind. While Zartan creates G.I. Joe synthoid copies out of a material called pseudoplasm to look like the real thing. Knowing something is amiss when he realizes he didn’t age, Shipwreck calls the Joes to Temple Alpha, Springfield’s true area, and they plan to take down Cobra once and for all.